The reproductions stand for the twenty-eight member states of the European Union. Without touching them, they face each other, spinning when hit by air. With no cardinal points, this little archipelago, a drifting continent, has been made to be touched. 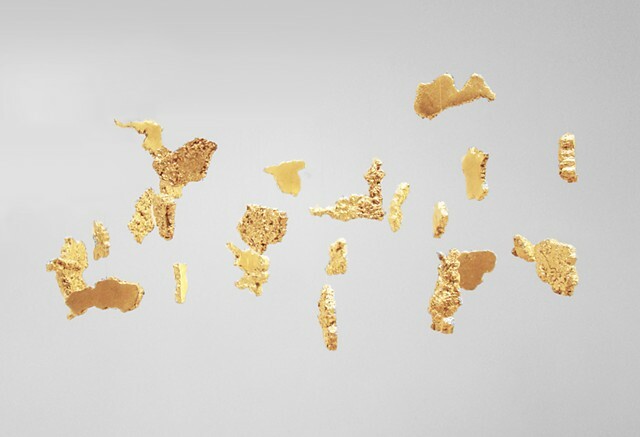 Inspired by 'L'Italia d'oro' by Luciano Fabro ( (Golden Italy, 1971) the pieces preserve the usual north-south orientation and national form, while floating isolated in space.